The rules of an affluent modern society often dictate the daily affairs of individuals. Regularly, one is required to work from dawn to dusk, returning home only to sleep for the next day’s work. Each day, millions follow this routine in a systematic fashion, going through the motions of their everyday lives, while forgetting to live them. In the back of their minds dwell thoughts of the following day’s work, questions of politics, finance and, of course, the future. There is often no time to enjoy any aspect of life the way it was intended to be enjoyed. Romantic ideas of boating on vacation or traveling the world are out of the question. Perhaps it is the dreary undertones of the world today, accompanied by long work hours and tension in the home, that stifle the innate creativity that exists within us. James Wright saw this as something nearly catastrophic when he abruptly, albeit poignantly, ended his poem, “Lying in a Hammock at William Duffy’s Farm in Pine Island, Minnesota,” with the line, “I have wasted my life.” Frustrated, Wright recognizes that creativity and emotional expression are necessities. All too often, people view literature, music, and art as aspects of life that can be overlooked, forgotten—escape routes that they do not need. Many fail to realize that life is poetry, art, music, and so much more. 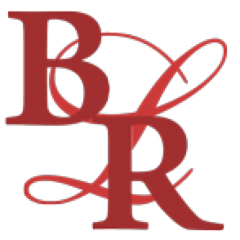 The Bryant Literary Review would not be possible without the continued support of The Woonsocket Call, The Pawtucket Times, the Bryant University Division of Academic Affairs, and the Faculty Development Center. We extend our thanks to all our contributors for sharing their work with us, as they have opened our minds and eyes to different views. I personally thank Professor Tom Chandler, Professor Tad Davies, Professor Thom Bassett, and the entire BLR staff, all of whom have been extraordinarily supportive of those aspiring to ignite the spark of creativity within themselves. 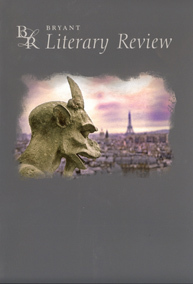 I had never realized the true necessity of poetry and creativity in life until I was given the opportunity to work as the student editor of the BLR. It has been enlightening to see the world through the eyes of so many different people. Henry David Thoreau once said: “Write while the heat is in you. The writer who postpones the recording of his thoughts uses an iron which has cooled to burn a hole with. He cannot inflame the minds of his audience.” It is my hope that you will feel the heat from the minds behind the inspiring words in this issue of the BLR, as I have.